Paradox Sports is trying to break down barriers and make climbing, and the climbing community, accessible to all. Since 2007, Paradox has run transformative adaptive climbing weekend trips in the most iconic climbing destinations in the United States – Yosemite Valley, Joshua Tree National Park, Red River Gorge, The Tetons, Ouray Ice Park, and more. These trips have been a place to connect, push limits, and change beliefs about what is possible for people living with a disability. We are passionate about climbing and believe it serves all adaptive athletes as a means to build community, self-confidence, skill and provides life-changing experiences. We strive to engage the wider climbing community and provide unique climbing opportunities that strengthen community. Community is what keeps us coming back and is core to our organization. Climbing also requires you to be present in both body and mind. Often the “disability” holding you back is in the mind – perceptions of what is possible, what challenges are “too big”, or when it is ok to give up. Pushing your limits means both physically and mentally. Through climbing, we have seen improvements in strength, motor skills, and flexibility, as well as self-awareness, confidence, and pure grit. “One of my personal heroes, rock climbing legend Royal Robbins, said that one of the greatest things about rock climbing is that it doesn’t pretend to be anything useful. I have to say that I agree and disagree simultaneously. I think it is true that the act of climbing rocks does not inherently benefit our modern day-to-day lives. However, I feel that climbing provides the greatest metaphor for tackling the challenges and obstacles life throws at us. 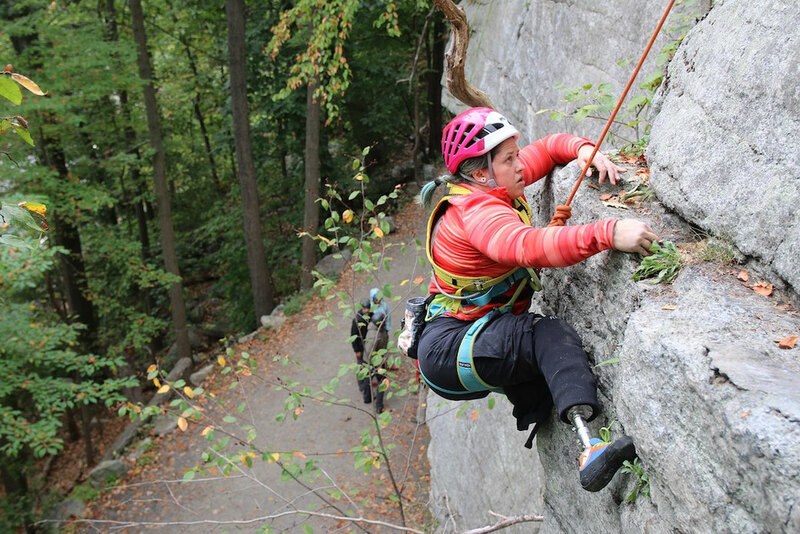 In this way, rock climbing may be one of the most useful things a person could ever do,” said Nerissa Cannon, Gunks 2018 adaptive climber, in her recent article published for Grit. "Whatever your personal El Capitan is, do not be dissuaded by naysayers, do not be disheartened by setbacks, and do not listen to the voice in your head that tells you that giving up is an option because what you are doing is difficult. Life is difficult for everyone. The greatest meaning in life can be found by embracing the struggle." - Wayne Willoughby, adaptive climber. People often ask how the Paradox Sports approach to adaptive sports is different than other adaptive programs. What makes Paradox different? From day one, Paradox really empowers and encourages participants with physical disabilities to push their limits and be self-sufficient, independent climbers. 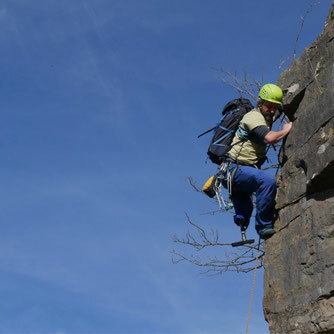 We teach climbers how to tie in, how to belay, how to take their skills to the next level. The line between “participant” and “volunteer” is often blurred as we merge into one big community connected by our passion for climbing. Any experienced climber can tell you, climbing is not about topping out. It doesn’t matter if you onsite, flash, or redpoint a climb. It is about having fun, trying hard, personal goals, and the community that supports you to reach those goals. The entry point into the climbing community is usually through indoor climbing at a local gym – an approachable, easy entry to the sport. Paradox has hosted adaptive climbing clubs in Colorado and Connecticut for a few years, and it is through climbing club that many get introduced to the sport and community. National and World Paraclimbing Champions have gotten their introduction to climbing through these club nights – including Jessica Sporte. 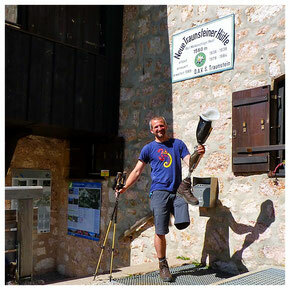 The Active Amputee asked, “The Paradox Sports Ambassadors list reads like a list of some of the most accomplished adaptive climbers in the world. How did you manage to get them involved?” Well, yes we are proud of our Paradox family – which extends far beyond our “official” ambassadors! As an organization co-founded by DJ Skelton (wounded veteran), Timmy O’Neill (professional climber), and Malcolm Daly (amputee climber), the precedent was set: Paradox was built on a foundation of excellence. Many of our ambassadors have been involved since the beginning, helping build this incredible community of adaptive athletes. Maureen Beck was convinced by Malcolm Daly to come ice climbing in Ouray from the East Coast, and immediately knew the Paradox community was different. 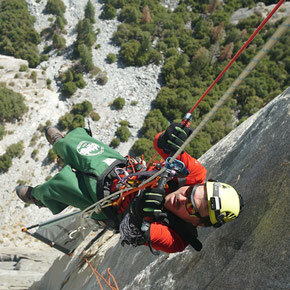 Chad Jukes joined Paradox rock climbing in Eldorado Canyon only months after his amputation in 2007, and in 2016 he became one of the first American amputees to summit Everest. For each of our ten ambassadors, the stories sound similar – they joined a Paradox program to improve their climbing skills, and found a community of like-minded athletes they wanted to be part of and help bring other people into. It is apparent the movement for inclusive outdoors has gained momentum in recent years. Paradox Sports has evolved over the last 11 years as a nonprofit organization, and the focus is not only on hosting rock and ice climbing trips for people with disabilities, but Paradox has also become the national resource for helping other organizations develop their own adaptive climbing programs. By helping other organizations launch their own local programs, we are helping to increase adaptive climbing opportunities exponentially across the US (and perhaps world?!)! In 2015, Paradox Sports released the first of its kind Adaptive Climbing Manual – a resource book with more than 60 contributors of all backgrounds. From there, Paradox Sports developed a curriculum for more hands-on learning opportunities at climbing gyms and universities across the country to help them start their own adaptive programs. Paradox stepped it up a notch in 2017 and launched the Adaptive Climbing Initiative in partnership with The North Face with a goal of making all gyms in the country accessible. ACI Courses include a mix of classroom education, open discussions, and on-the-wall training and facilitation over a two day period. With a focus on physical adaptation for climbing with paralysis, amputation, visual/hearing impairment, and neuromuscular disorders, facilitators explain the specifics for creating and curating an adaptive climbing program while developing safe, inclusive, supportive communities for adaptive athletics. Since 2015 we have taught our Adaptive Climbing curriculum at over 45 gyms, universities, and other outdoor programs across 23 states - and even one in Squamish, BC! Together we are expanding both the availability and quality of adaptive climbing programs, and welcoming people with physical disabilities into the climbing community. "I've been a part of Paradox for so long, and it's done so much to help me through my climbing career. To me, becoming an instructor seemed like a natural next step so I can start giving back to the community that has given me so much." 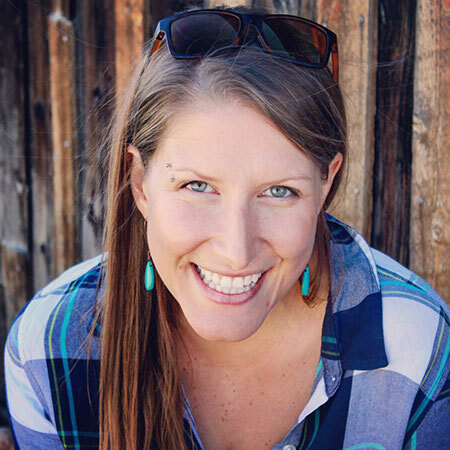 - Mo Beck, Paradox Ambassador and Adaptive Climbing Initiative Course Instructor. Guest post by Shelley Brook. Shelley is the operations manager at Paradox Sports. If you are interested in learning more about Paradox Sports, please check out their website or follow them on Instagram or Facebook.